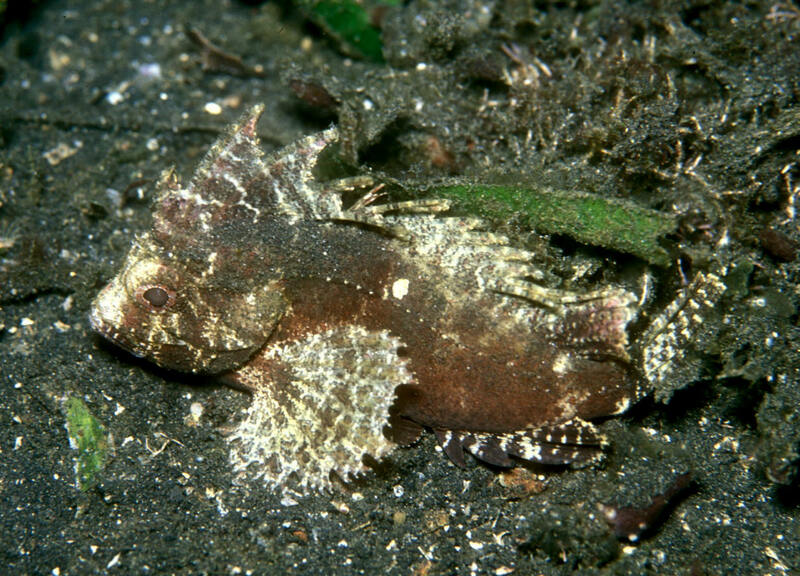 Pteroidichthys amboinensis Bleeker 1856, the Ambon or Hairy Scorpionfish. To about three inches in length. West Pacific. N. Sulawesi (Lembeh Strait) pic. 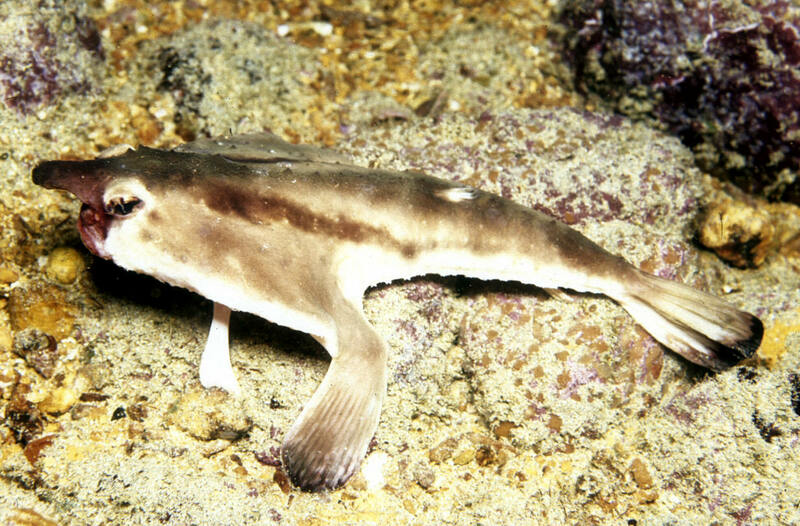 Ogcocephalus darwini Hubbs 1958, Galapagos Batfish. Eastern Pacific; Galapagos Islands to Peru. To eight inches in length. Galapagos (Wolf Island) pic. 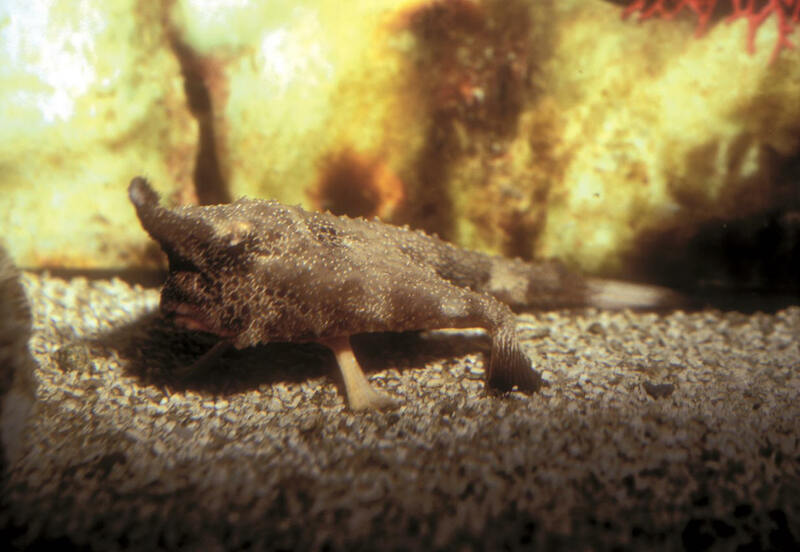 Ogcocephalus nasutus (Cuvier 1829). Tropical West Atlantic, where what few members of the family used in the trade generally come out of. Found on sandy, muddy or seagrass areas on the bottom. To fifteen inches in length. SIO aquarium image. 0-1000 feet. Hypodytes rubripinnis Temminck & Schlegel 1843. Northwest Pacific; Japan, Philippines. To four and a quarter inches in length. N. Sulawesi pic.